Sony has issued games developers with developer kits for the forthcoming PSP2 handheld games console, according to latest reports. The PlayStation handheld is hoped to have a significant launch line-up of big-hitting games titles when it launches. Develop magazine reports that Sony has issued PSP2 development kits to a number of key studios for a "significant launch window line-up." Developers that have received PSP2 developer kits include both Sony's in-house studios and a number of major third-party studios. Develop cites 'multiple industry sources' claiming that Sony is spreading the PSP2 as widely as possible for a maximum impact when it launches. Tech specs and launch details have not yet been revealed by any of the same sources, but we expect to hear more leaks on those fronts in the near future. Netherrealm Studios' producer Shaun Himmerick has already said that his studio had a PSP2 dev kit and that they are "looking at the engine, like what can it support. Always a big thing for us is the performance. We're running at 60 fps, what can we do and do we have to build all the art assets over." 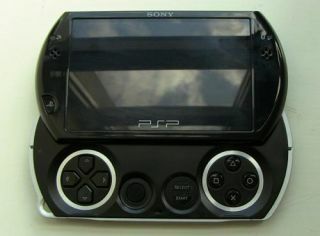 We expect to see Sony's PSP2 on the shelves at some point in 2011. Whether or not it will compete with Nintendo's new 3DS, which is scheduled to arrive at some point next spring, is of course the real question.